SHETLAND: reclaimed barn siding - reSAWN TIMBER co.
SHETLAND by reSAWN TIMBER co. is ANTIQUE RECLAIMED BARN SIDING – for interior wall cladding. 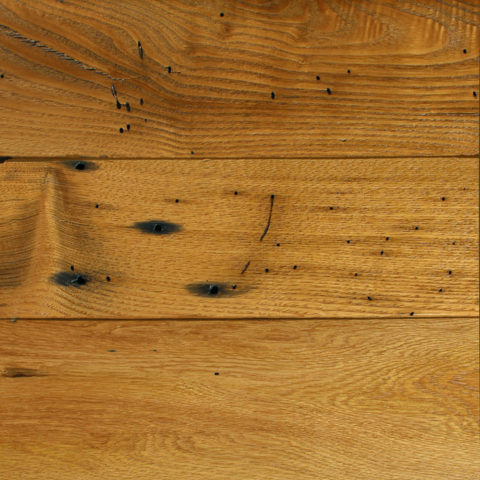 SHETLAND by reSAWN TIMBER co. is ANTIQUE RECLAIMED BARN SIDING – for interior wall cladding. SHETLAND has been wirebrushed and finished with a stain/sealer. Expect lots of texture and variation to the grain. Typical character marks include mineral staining, color changes, weathering, checking, nail holes, and knots. Due to the nature of this material, thicknesses tend to vary slightly.